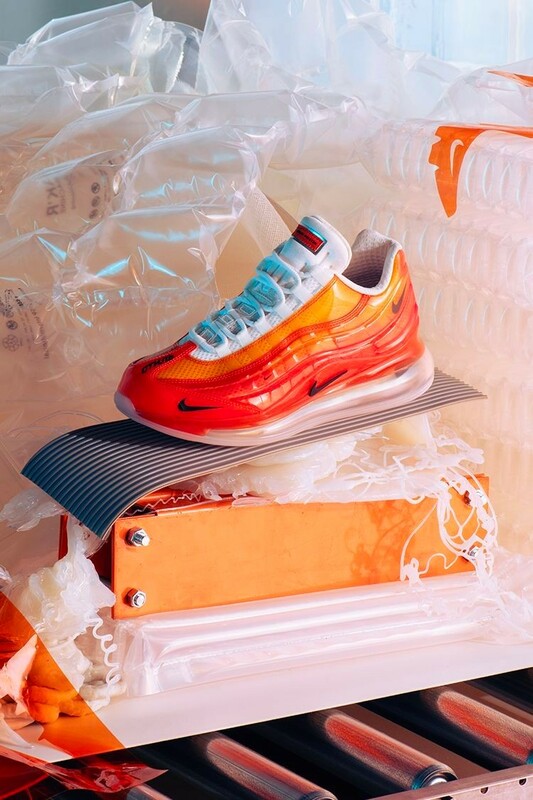 Nike and Heron Preston have just shared their latest collaboration that fusing two Air Max silhouettes into one. Constructed with a translucent upper in shades of blue, orange, green, pink and black, the Nike By You Air Max 720/95 are made on top of distinct Air Max bubble-assisted sole units. Swooshes in varying sizes are sprinkled on different parts of the model alongside the designer’s stitched reflective labeling on the tongue. This upcoming sneaker serves as part of Nike’s “HERON PRESTON BY YOU” activation for Milan Design Week.